I was a huge reader as a teenager. I still am! I read all genres, but I’ve always loved mysteries. After attending law school, criminal cases have crossed my desk that have aroused my curiosity. Since then, I’ve been hooked on writing mysteries. I write and enjoy cozy mysteries. I also write adventurous historical romance as Tina Gabrielle. 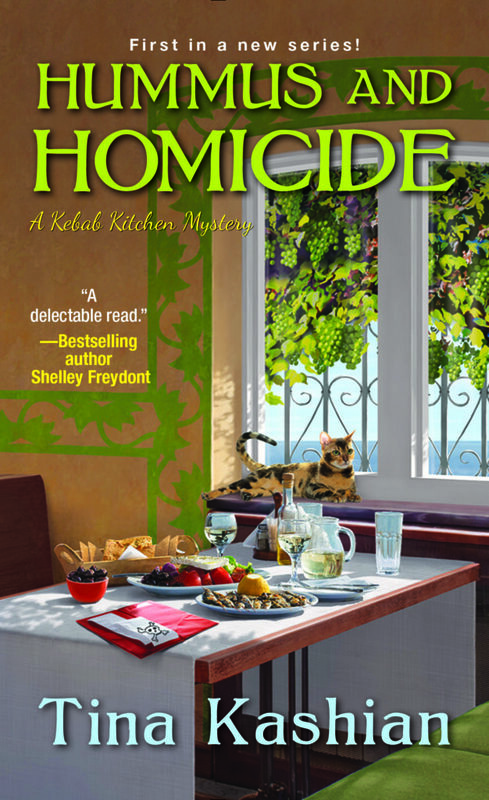 I’ve always wanted to write a cozy mystery, and Hummus and Homicide is the book of my heart. The book takes place at a Mediterranean restaurant. I grew up in the restaurant business, and my Armenian-American parents owned a restaurant for thirty years in South Jersey. I worked almost every job—rolling silverware and wiping down tables as a tween, to hosting and waitressing as a teenager. The tips helped pay for my prom gown. As for writing romance, I’ve always loved Jane Austen and I decided to try my hand at writing historical romance. It’s another type of world building, and I like researching the era. I took a course at a community college called “Writing a Fiction Novel.” It got me started. 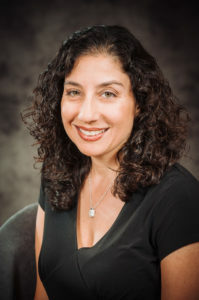 I then joined Mystery Writers of America, Sisters in Crime (national and my local chapter), and Romance Writers of America and learned a lot about writing and the business of writing. I want them to have an enjoyable read! If my books entertain a reader or help her escape her problems for a few hours, then I’ve written a good book. I’m grateful for my readers. I enjoy creating my own world. When I’m writing, I focus on the characters, their emotions, and their world. I enjoy plotting the mystery and add those fascinating red herrings. And when I’m in my writing zone, it’s wonderfully satisfying. It’s the best job. Carving out writing time. Many of us are wives, mothers, daughters, and employees. I struggle with mommy guilt, like a lot of women. I’ve learned to set aside time for myself to write because it makes me happy. A happy mom makes for happy children. Join writing organizations such as Mystery Writers of America, Sisters in Crime, or Romance Writers of America. Whatever genre you are writing in, there is an organization out there for you. Go to conferences and network. Study the craft of writing. Read a lot. All types. But I do love cozy mysteries. I have an entire bookshelf dedicated to them. Hummus and Homicide is also set at the Jersey shore. Ever since I was a little girl, my parents vacationed at the Jersey shore. I spent my childhood summers at the Jersey shore building sandcastles, boogie boarding, and riding the boardwalk Ferris wheel. The book takes place at a fictional town of Ocean Crest. The name is a combination of Ocean City and Wildwood Crest—two of my favorite New Jersey shore towns. I have two young girls and we still vacation as a family at the Jersey shore. My kids love it. My website and newsletter. I’m also active on Facebook, Twitter, and Instagram. I often post videos of the books I’m reading for #FridayReads. Also, I give away prizes, books and recipes on my newsletter. I hope you’ll like the series. I had great fun coming up with titles. Hummus and Homicide, Stabbed in the Baklava (9/18), and One Feta in the Grave (2/19). All the titles are puns on food and reflect the light and funny feel of the cozy mysteries.